- Disembarking on Track/wheel damage (pretty sick). - Instant ready to fire after disembarking (mostly kills the AT gunner right before tanks gets some damage). - Ability to kill crew/vehicle by near explosion other vehicle. All issues wil propably get into final DLC, which is very shame, as track damage is hapening very often, very often not beacuse of enemy fire, but beacuse of bugs with physx engine. Standing on rock/bush/between houses/next to wall and firing sometimes launch whole tank into air, or just few meters in any direction (collision with nearest object) and it ends with dead crew and/or track damage. Second issue is specially harming if you are hunting for tanks with AT weapon - you got clear shot, enemy tank is alone, you just use this opportunity.... and suprise - enemy crew jump out of tank and take you out with 3 fast shots. Does crew have harmed in any way from your shot? Any shock? No, they didnt. Finally third issue (connected with other issue.... eh) happens very often when driving with ai buddies in formation and one of your tanks meet car on their way (with AI masters of driving...). In collision car explode, one of your crew is dead. Other example, you are rolling in tank through battlefield, seeking for enemy, there are grenadiers with under barrel grenade launcher - no threat for you but - you are just driving slowly next to empty car.... Ai start to smashing grenades rounds onto you and hit the car. You are dead. Second example was almost every time used against me in multiplayer, when enemies had no AT weapons. Getting damage to tanks (some vehicles with light armor), from collisions with surrounding terrain, collisions on buildings, collisions with other lighter vehicles - frustrates immersion in the game. Most of the collisions reproduced in the editor, reproduced with a large increase in damage to the network game, probably due to lagging calculations with physics. In the editor, you can create a script, for example, there is a big fight between AI infantry and equipment. This is only part of the "iceberg" which is on the ticket. It's been reported for a long time, but it's unchanged for 1.83 as before. When the tower is turned - the tower collides with the objects correctly. When the tank is standing, the turn of the tower penetrates the object. - Rarely (very rare for a network game), the objects themselves break down, or you are thrown away from the object, without causing damage to the tank. In a multiplayer game, a collision of vehicles, more like a penetration with an explosion, it seems that the physics calculation for collision and repulsion lags behind. During an average OFPS CTI over 6 hours+ I usually loose more then 60% of my wheeled or tracked vehicles due to AI driving mess or flipping tanks or crashed wheels and NOT due to enemy fire. Ankara commander's turret with 12,7 have wrong centered point of rotation. Just wondering about the new mini campaign, is there more than one ending? I was captured and executed after my tank was knocked out. Has this to do with high civilian casualty in the previous levels? I held off both attacks and HQ had me scuttle the tank. Ares surrenders along with the rest of the AAF and is briefly held in a pow camp. Afterwards, he goes back to his hometown. I didn't kill any civilians during the campaign. I guess this is the happy ending. 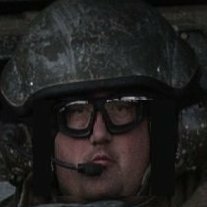 One time, I was driving a slammer backwards and bottom of the tank hooked on a tree, resulting in the tank flying upwards like a rocket. While driving the Lynx, Scrapping the bottom on a rock made it instantly explode. And a few other minor sporadic jumping when scraping the hull on something. It seems like whenever the tank is mostly making contact with the hull rather than the tracks these weird things happen. I haven't been able to replicate on demand. 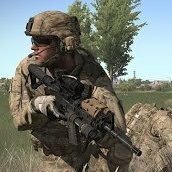 First off I would like to start by saying I have the upmost respect for the work Bohemia does and I truly love Arma 3 and the Arma Franchise in General since I started playing back when Arma 2 came out. I also would like to apologize if this is in the wrong place and if it is I please ask that a moderator move it or redirect me to the correct place to post this. This is all my personal opinion and feedback on Arma 3 Tanks DLC on the Dev Branch. The Tank DLC is one of the last DLC's for Arma 3 and if one were to look back at the track record of their past DLC's they haven't exactly lived up to the communities expectations with a few exceptions like Helicopters and Marksman DLC and Tanoa being the Best DLC Arma 3 has released. However beside Tanoa, the Tanks DLC has been one of the most exciting DLC's I've been looking forward too since I saw the T-14 in the 2017 Roadmap as I think it was for most people. However now that the Tank DLC has hit dev branch and people have tested it out I can say in my personal opinion it is extremely disappointing and I do honestly wonder if the Developers listen to our feedback? Besides for the T-14 and vehicle interiors, this DLC adds nothing great and Vehicle interiors should have been in the game from the start. I'll quickly run down everything and what's wrong with them. However Tanks DLC is already too far along so nothing I say will really make a difference, but I feel it should be pointed out. The T-14: It's amazing there really isn't much to say and was what I've been waiting for so long since I saw it, However it's so amazing and powerful that is the problem with it. I'll explain why in a moment. However I have a few complaints with it. First I suggest the Developers and whoever is reading this to please watch this quick video below. After watching this video and if you've used the T-14 you can probably tell there are a few things missing from Arma 3's version. Now you could say that the T-14 doesn't have any of this and the Russian Government is just lying. However I see no reason not to believe them and underestimating someone is the quickest way to the Grave. So Bohemia what the heck? Where's the Active protection? I know for a fact several us including myself when you were asking for Tank Feedback like a year ago told you we'd like Active Protection. Well the T-14 has Active protection just as the Merkava does and the T-14 has jamming technology and several layers of defense. The only possible excuse I could think is because you can't do it in the current engine, however if the excuse is that it is overpowered. That's a terrible excuse. There is no fairness in war and there are several vehicles that obviously are more powerful than the other factions. The AH-99 Blackfoot has less armor and less powerful rounds than the Mi-48, however you can still beat the Mi-48 if you're careful about how you engage them, but that should be Arma in General. So the T-14 should have the Active protection, jamming, and stealth technology. For heavens sake it's 2035 they should be using the most advanced equipment out there. Also where's the Green Paint Job like the Russians have and like I swore I saw in the 2017 Roadmap? The T-14 looks best in Green/Olive Bohemia. However Bohemia you did a great job on making the T-14 in Arma 3 look almost identical to the T-14 in real life and I love the T-14 interior. The Rhino MGS: I don't even know where to begin with the Rhino? What were you thinking Bohemia? I can't speak for all of the community, but I think I can speak for most of us that nobody asked for this. NOBODY. I can say with an almost 99.999% Accuracy that almost everyone was asking for the M1A2 Abrams. I can't even comprehend why you choose to include a weak 1985 South African tank called the Rooikat as a NATO Apc no less, we didn't even get a New Tank. We got an APC. Not only is the Rooikat what nobody asked for, it is unsuited for dealing with the T-14 or the T-100 no less. The Rhino loses to the T-14 and T-100 in every straight up fight in every possible way. 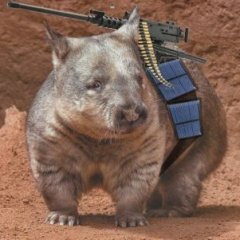 Now yes yes, the Rhino is not made for a straight up tank to tank fight and is made more for long range fire on maps like Atlis and Malden and maybe Stratis (Good luck fighting on Tanoa where all vehicle combat is short to medium range) and you aren't suppose to fight a tank head to head and should try killing them from the rear and sides. However the M1A2 Abrams can fulfill the Rhino's role just as well if not better, in fact the T-14 can also do exactly the Rhino's role given a good gunner and commander especially with the new systems being involved. So what is the point of even having the Rhino? None what so ever. 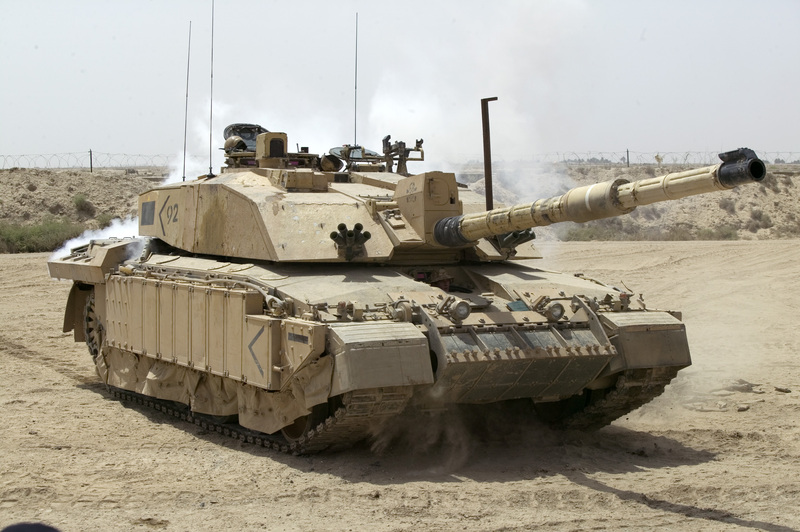 The M1A2 Abrams could fulfill this role just as well, upgrade the armor of the M1A2 Abrams and give it active protection and a 125mm or 130mm cannon like the Germans are working on right now and upgraded tech all around. The M1A2 Abrams could fight the T-14 and T-100 in a straight up fight and have a chance of winning, while the Rhino can do no such thing at all. This would have been more awesome than the Rhino and I still want to see it. However even if you had added it, NATO still would be at a disadvantage as I have described. CSAT already had the T-100 and that is super powerful, adding the T-14 a Tank Destroyer only tips the power balance more in CSAT's favor. So I don't understand this logic from Bohemia on why they would even give NATO the Rhino. AWC Nyx: You know I railed on the Rhino pretty bad, but I really really Really don't even know where to begin with this. I don't think anyone asked for this. Like at all. I think I can speak with 100% certainty this was never asked for. I don't play AAF very often, but I certainly have no problem with AAF and I think it's fun to play them occasionally. The FV-720 literally does almost everything that the AWC can do and it's all in one package while the AWC only has one weapon per variant. Sure I guess it's nice to have that, but I don't really know what's the point? Is there a point? I doubt it. The AWC really was not needed at all and offers nothing new to the battlefield let alone does it make AAF more appealing. The AAF already have the Leopard II which is possibly the only tank that can now compete with the T-14 and T-100 in a straight up fight, and even then it's doubtful. Especially considering the Leopard II certainly has proven it's not as invincible as people believe if anyone has paid attention to a certain world conflict in the middle east involving two countries that start with a T and S. There really is nothing useful or good to say about the Nyx. It has an auto cannon that can take out APC's but the other APC's in the game on the CSAT side have tougher armor and powerful weapons that will wipe the AWC out almost instantly if it's spotted. It has AT variant for Tank battles, but the Leopard II stands a better chance against other MBTs, and it has an AA Variant which I guess is useful since AAF has no AA tanks or APC's, but the Cheetha Even the Tigris is better suited for AA than the AWC. The AWC is awful and shouldn't even be added to the game. Not like it matters, but I think that AAF should have gotten the Challenger II MBT from the British since AAF is using the FV-720 which is a British APC and they are buying hand me down vehicles from Europe. The Challenger II should have become a new AAF MBT, because it would fit their MO and it certainly would prove to be an actual threat on the battlefield and make the AAF a real force to be reckoned with. The Challenger II is often called the most invincible tank having only suffered one loss (Blue on Blue) (But when do the British ever actually fight anyone nowadays?) So I think it would have been certainly interesting to put the Challenger II up to the challenge in Arma III and made the AAF deadly. Zamak: I was certainly surprised that a Zamak rocket variant was added to Arma III, however it's basically just a Soviet Artillery truck with lock on systems. Once again I don't see the point for the Zamak Artillery truck, if I were to choose a vehicle for the AAF to buy to compete with rival powers I would have chosen the S-300 as an AAF AA Truck to compete with the To-201 and F/A-18. The S-300 is more modern and cheap at that, the Russians would no doubt sell to Atlis if asked seeing it's 2035 and the S-300 will likely be super cheap and or phased out by the S-400 in 2035. However the Zamak Artillery truck is an Artillery truck for Surface to Surface combat so I would have chosen something a bit more modern Artillery platform from the Europeans or Hey Bohemia could have given that Artillery Marshall to the AAF. Nudge Nudge Once again it was pointless to add this and should have added something more modern and or tip the balance more in AAF's faction. Most people in the community already don't like AAF (However maybe there is a part of the community that loves the AAF) and this isn't going to make them interested in the AAF and this certainly only helps the AAF in a minor way against NATO and CSAT when they are already underpowered against the More powerful Artillery of NATO and CSAT. So in conclusion Im still going to buy this DLC which I guess makes me a hypocrite, however Im only buying this for the T-14 and nothing more. So I do hope Bohemia sincerely takes into consideration what I've said. Where's the Active protection? I know for a fact several us including myself when you were asking for Tank Feedback like a year ago told you we'd like Active Protection. Well the T-14 has Active protection just as the Merkava does and the T-14 has jamming technology and several layers of defense. The only possible excuse I could think is because you can't do it in the current engine, however if the excuse is that it is overpowered. Yes, we are. And we appreciate all the ideas and your enthusiasm. So the lack of APS to date seemingly confirms these two dev posts from half a year ago. APS is just a script on the projectile firers machine that deletes the projectile if some conditions are met, before it hits the target. bonus points for “smallsecondary” explosion near point of delete. overall though i think its a solid package, with plenty of platform improvements and some interesting asymmetric assets. Besides for the T-14 and vehicle interiors, this DLC adds nothing great and Vehicle interiors should have been in the game from the start. I'll quickly run down everything and what's wrong with them. However Tanks DLC is already too far along so nothing I saw will really make a difference, but I feel it should be pointed out. At this point I already lost interest in your post, but decided to read everything anyhow. While your observations are correct, the entire post is loaded with personal feelings, and while that is OK, there are two important factors to remember. 2. The vehicles are still getting balanced. Also, bohemia has thoroughly explained why we ended up with the Rhino and Nyx. They are highly specialized vehicles that help diversify the game. Giving all factions an extra MBT would be cool, but at the same time; it would almost over-saturate the game with MBT options that all employ the same strategy: Full frontal attack. The Rhino has a powerful LOAL/SACLOS ATGM that can hit any other faction tank from behind cover. This effectively removes the need to face the enemy tanks directly. Other than that, it does have a capable gun and high max speed. Imho it only needs better acceleration/torque. The Nyx can be airlifted, has high speed, is highly maneuverable and offers decent Multi-Purpose capabilities. The Autocannon variant deals with infantry up to medium armor and helicopters. The AT variant deals with everything. The AA variant deals with air threats ans infantry/light vehicles and the Recon can act as datalink broadcaster. It is also very small, making it harder to hit and easier to hide. Also. You forgot to comment the new AT launchers and added Offroad/4WD AT variants. Most likely, the HEAT weapons will receive a major mechanic overhaul, making the majority of ingame Anti-Tank weapons interact differently with vehicles. They are also continuously tweaking armot values, placement and projectile properties across the board, making the entire way tanks fight eachother different. If you lost interest you should have just not bothered reading anything. Everything you've said is subjective opinion as well. I'd also like to think that It was more observation than feelings, since I pointed out the Tanks high points and what was wrong with them in general gameplay since I've tested every single one of these variants out in Combat Op scenarios against AI. The T-14 still mops the floor with the Rhino despite it's ATGM's and if players are in control of the T-14 they will effectively take measure to ensure they aren't hit from behind cover. You could have essentially just added an ATGM (Like I said in the post if truly read it) and changed the cannon of the Marshall and gotten the same result. Yes I did suggest better vehicles to be in their place, but doing so I said they would be more beneficial to the forces involved. This is called the TANKS DLC is it not? Or was I mistaken and this is the APC DLC? It really does not matter if the Nyx can be airlifted, it's still worthless and if I wanted to deal with infantry I'd use the Strider or FV-720 for AAF which are beefier and more useful than the Nyx. Sure it has an AT Variant, but so what? So does the FV-720 and it has an auto cannon and everything else except AT/AA Missiles, the AFV-4 Gorgon has an Autocannon and ATGM/AT Rockets, so once again the Nyx was not needed other than maybe AA missile platform. The T-14 and T-100 also have smoke which gives themselves time to deploy against the Nyx's AT rockets and retreat to cover before proceeding to find the Nyx and destroy it, not to mention the Nyx's low AT Rocket capacity means if they waste all of the rocket's they are screwed. Yes I pointed mostly to Full frontal assault's, but assuming that tanks are only used in Full frontal assault's is wrong. In my years of playing Arma, I have seen Tank's utilized in more ways than just Full frontal assaults. I simply pointed out that head to head every single one of these vehicles loses to the T-14 and T-100, showing how inferior they are and how it tips the power in CSAT's hands. The Rhino is worthless on Tanoa considering it's made for long range engagements and most of Tanoa is close to medium range combat and it will lose every single time unless the planets align and the crew gets lucky. I didn't even bother mentioning the AT Launchers, because they offer no new benefits. The MAAWS is not lighter than the PCML and it has less range then the PCML, nor did I notice a higher increase of damage so what's the point? If it's not lighter and it has less range than the PCML why should I bother using it? And the 9M135 is basically just a CSAT version of the Titan Launcher, so I guess that's good? But that sounds like something that should have once again been in the game from the start. Not that CSAT has ever had difficulty taking out NATO Armor with the RPG-42 or other launchers at their disposal. The offroad/4WD AT Variants, what's there to say? They added an AT Launcher to the offroads, so I guess that's a good thing? Assuming they aren't destroyed as soon as they fire off their first AT Rocket, considering it is a lightly armored. So it's a 50/50 chance you'll die once the Tank spots you and you pray to god that the AT destroys the tank and cripples it, also assuming they don't deploy their smokes which any commander would. I said in the beginning this was all my opinion yes? This was my feedback yes? You don't have to like my feedback, but it is what is. Just like your opinion is your opinion and nothing more. It's March 22nd and the Tank DLC releases April 11th and I have low confidence Bohemia will balance everything and get out the bugs, considering that they never even addressed a bug in the Tanoa DLC I pointed out during it's development and it still hasn't been fixed to this day. I have basically quoted the developers, not shared my opinion*. Watch the Tanks DLC teaser, read the first post in every Tanks DLC developer-created thread and you should get the idea. Anyways, the amount of salty sarcasm in both of your posts is not going to sway anyone. At best people just don't care, at worst you end up annoying them and throwing away their valuable time. There are better ways of approaching this, and you know it. Imho it only needs better acceleration/torque. Which the devs actually adressed in todays devbranch after listening to constructive feedback from the community. As others have said, the devs have specifically said that they're not doing APS for technical reasons. It's an omission that I think a lot of people would like to see implemented, but if it can't be done, it can't be done. The Rhino MGS: I don't even know where to begin with the Rhino? What were you thinking Bohemia? I can't speak for all of the community, but I think I can speak for most of us that nobody asked for this. NOBODY. I can say with an almost 99.999% Accuracy that almost everyone was asking for the M1A2 Abrams. AWC Nyx: You know I railed on the Rhino pretty bad, but I really really Really don't even know where to begin with this. I don't think anyone asked for this. Like at all. I think I can speak with 100% certainty this was never asked for. I think you're projecting a bit here. I know in my group we pretty much came to the conclusion that we wouldn't just be getting 3 MBTs with Tanks; it just doesn't make sense to spend a time developing new assets that are basically not different from existing assets in the game. It really doesn't make sense to add an Abrams to the game when there are about a million mods that already do that. Also, I feel like community reaction to the Nyx in particular has been pretty positive, so it's a little silly for you to suggest that no one wants it. Also, your analysis focuses really hard on faction balance, but that doesn't make much sense for a game like Arma. Like, you compare the Rhino to the Angara and the Nyx to the CSAT IFVs as if they're guaranteed to be in one-on-one slugfests, but there's nothing saying that's the case. BI just provides us with assets; it's up to mission designers to use those assets to make missions that make sense. Specifically regarding the Nyx, it wouldn't really make much sense for the AAF to get a second MBT. They're a tiny micronation fighting a civil war against an insurgent force, and they're already pretty absurdly well equipped given that. It actually makes a lot of sense for them to use something like the Nyx; it's small, easily transportable, fairly effective against dudes with rifles, and able to be pressed into anti armor or anti air duty if that ever becomes necessary. The Rhino is a little weirder, because the mount-a-tank-cannon-on-a-wheeled-chassis concept hasn't really been all that successful in real life. I suspect that it was added into the game mostly because the Styker MGS looks cool (yes, I know it's not a Styker, but let's be real here). But as far as gameplay goes, it's perfectly fine as a kind of lighter tank, or as an infantry-support vehicle. I wouldn't expect it to be any sort of real equivalent to a proper MBT, but that's up to mission designers to deal with. Going to throw my hat into the ring and say that the Nyx is my standout favourite part of the DLC, if we disregard the various engine improvements to tanks generally. The Armata is nice and all but 3 MBTs would oversaturate that area vastly, the Rhino is a great addition to NATO (that LOAL missile) but the Nyx is pure awesome - it's fast, mobile, can fit inside a surprising amount of vehicles, and it is the perfect addition to the AAF armoury, a recon AFV that can still pack a punch. My one regret regarding the Nyx is that they didn't give us a mortar carrier version. As for any complaining about the lack of a M1A2 Abrams... I've been saying for a while now that I wanted light tanks in the vein of the M8 Armored Gun System, or its would-be competitors in the Mobile Protected Firepower program -- or the ZTQ-15 (aka ZTQ-105), or the export VT5 -- along the lines of the same 'mobility vs. protection/firepower' dynamic that the Rhino MGS is supposed to hit, instead of MBTs. Blackbomber I think you may underestimate the value of the new editions. The nxy is a nifty little vehicle. I can see it being a serious favourite. specially on Tanoa with its size and agility. Able to be transported easily to any battlefield. The rhino when used in a co ordinated attack will be devistating. I hope imperator does not mind me using his video for demonstration purposes, it is very well done. Add to this its ability to be airlifted and you have a dangerous vehicle that can go places other tanks cannot. well co ordinated attack to bring that beast down. All in all I feel they threw a bit more of a curve ball. You don't see how boring it would have been had they made 3 new big tanks for each faction all the same but a different colour. total unimaginative balance. I know the 120mm laser guided ATGM round the Rhino can use has the "lock-on after launch" (LOAL) ability which is showcased in the video posted above but I'm wondering what the strict requirements are for using this ability successfully. Does gunner have to select the lase as the target before firing as shown in the video? Or can the gunner just fire the missile in the general direct of the lase and the missile will automatically acquire the first lase it finds even if it wasn't manually selected as the target? It works via datalink. You get a "radar" screen where you can select the targets with [r]. It needs a functional datalink to a drone or another Capable vehicle. I've not yet had the chance to "buddy lasing" by Laser Designator since the DEV servers are all empty most of the time. Currently I would consider the combination of Rhino "Maruk ;)" ATGM and a drone the most powerfull land based asset in the game. THERMAL sights need really a fix. Contrast on those is definetly too small, you can barelly see anything on the ground, but active forms of life is shining like torches. I dont know if its eye adopting effect messing thermals so much, or TI camera is getting warmer after launch, but as soon as you first time (after mission launch) launch TI mode, all looks perfect, but after 2-3 second its getting so messy, thats barelly usable.